Our learning program provides access for all levels of ability. Consistent with the belief that everyone has potential, Calvin Christian School provides clear pathway programs for those who wish to pursue academic, creative and practical learning outcomes. Our Kindergarten uses the Early Years Learning Framework to shape its curriculum and outlook. Classes from Prep to Year 10 follow the Australian Curriculum. 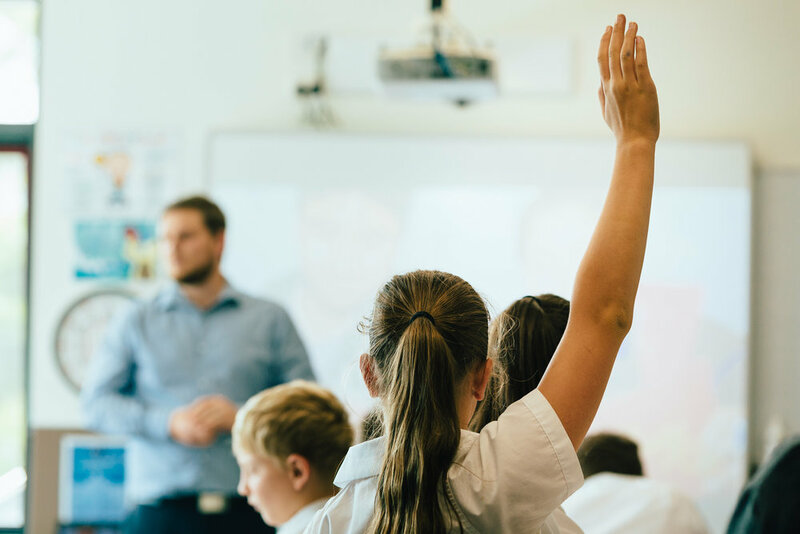 While the Australian Curriculum sets the expectations for what Calvin students are taught, our teachers choose contexts for learning, and plan learning in ways that best fit Christian beliefs and worldview as well as the vision for Christian Education. Through the Australian Curriculum framework, we aim to grow students into independent thinkers who are able to use creativity, invention, and logic to present and interpret their views and the views of others. Working according to the Australian Curriculum guidelines, Calvin reports student progress regularly throughout the year. In the Primary years, reading, writing, and spelling are taught using the THRASS methodology. This evidence based approach enables our teachers to support multi-level classes and mixed abilities. Mathematics from Year 5 use the Maths Pathways program. This allows students to work at their own level, freeing the teacher to focus on areas of mathematical weakness in individual students. Year 11 and 12 students undertake courses developed by Tasmanian Assessment Standards and Certification (TASC). Year 10 students are able to access TASC courses in negotiation with teachers. Completion of TASC accredited courses allow students to attain their Tasmanian Certificate of Education (TCE) and Australian Tertiary Admission Rank (ATAR) to allow them entry to Universities around Australia. Students may also undertake Vocational Education and Training (VET) courses offered by Calvin or other external providers. Calvin has a proven tradition of academic scholarship. Our senior secondary students regularly achieve high Australian Tertiary Admission Rankings (ATAR). The most recent National Assessment Program Literacy and Numeracy (NAPLAN) ranking placed Calvin as one of the best private schools in Hobart and the equal of other independent schools. We believe that a values-driven school can be academically rigorous achieving the best outcomes for students. At Calvin, we are committed to supporting all students in achieving educational outcomes that are appropriate to their needs and ability. Our learning support team works with parents, teachers, and external specialists to identify and address the educational needs of all students. This may require the development of an Individual Learning Plan (ILP) or Learner Profile (LP) and extra support both inside and outside the classroom. Develop and refine skills relevant to the curriculum and the changing world. Many of the activities students participate in are based around critical, creative and flexible thinking.